*HOT DEAL* Petmate Kitty Kat Condo over 65% Off! Wow! This is a *SMOKING HOT DEAL* for all you cat lovers! Check out this Petmate Kitty Kat Condo! It’s marked down over 65% right now – and selling for ONLY $31.95! 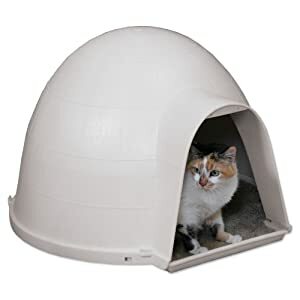 This is purrrr-fect for an indoor OR outdoor cat! As you know, this price cut might not last long – so don’t wait! Your kitty will thank you later!! The price listed above was as of 11:05am CST on June 18th, 2012. Prices and availability subject to change. Make sure you confirm the purchase price prior to purchase.